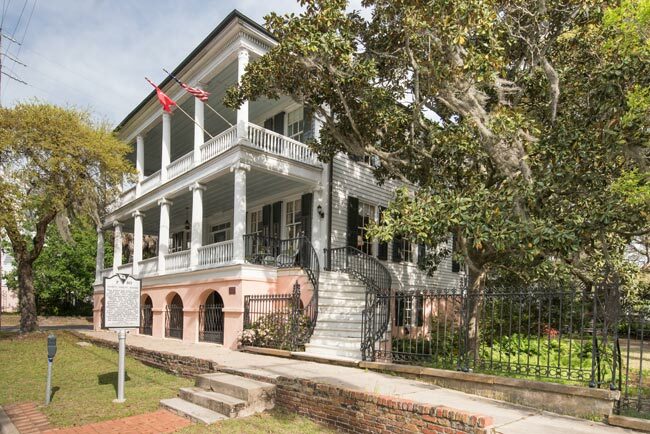 The Milton Maxcy House, also known as the “Secession House,” was the scene of many meetings in Beaufort during the 1850s which advocated secession and Southern independence. The house was built around 1810 for Milton Maxcy upon an existing foundation of a home that was built here around 1743. 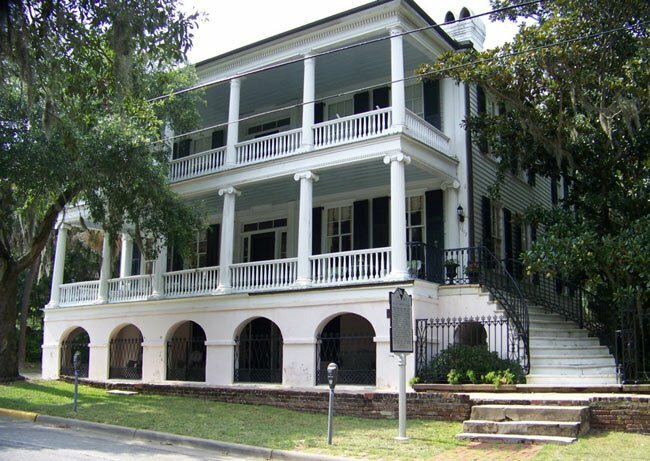 Maxcy and his brother, Virgil, founded a school for young men in Beaufort and later was a teacher at Beaufort College. Edmund Rhett – lawyer, state representative, and state senator – bought the house in the 1850s and remodeled it in the Greek Revival style with a two-story portico. Rhett was outspoken in support of state rights and led the meetings held here regarding South Carolina‘s secession. 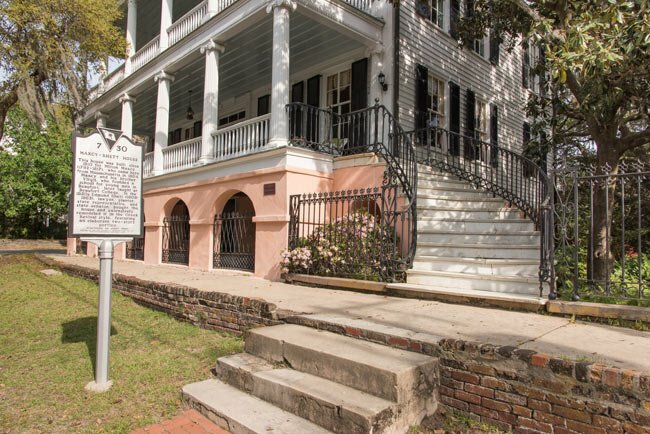 There is even an inscription on the basement wall that reads, In this house the first meeting of Secession was held in South Carolina. As a young Marine stationed at the Marine Corps Air Station, I was married in Beaufort and spent my wedding night in a room at this house on Dec 3, 1960. I remember reading the recession inscription on the wall and now 52 years later enjoyed seeing this site on the Internet. Thanks for the memories.